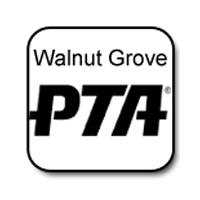 The Walnut Grove PTA is dedicated to enriching the education, health, and safety of students at Walnut Grove. We invite you to contribute to our Dollar-a-Day annual campaign. When you contribute to Dollar-a-Day, 100% of your donation will support our students here at Walnut Grove. Dollar-a-Day donations pay for the fall and spring musicals, library books, playground equipment, science lab materials, art programs, student assemblies, family fun events, technology, teacher support, the spelling bee, the science fair, multicultural fair, student intervention, and much more! Our suggested tax-deductible donation is $1 for each of the 180 days in the school year — that is, $180 per student or $250 per family if you have multiple students at Walnut Grove. However, any amount you donate is very much appreciated and will be put to good use. Note, Dollar-a-Day is one of the PTA's main fundraisers for the year, along with the Fun Run (September 28, 2018) and Parents' Night Out in the spring. Thank you so much for donating and supporting our children's experience at Walnut Grove!